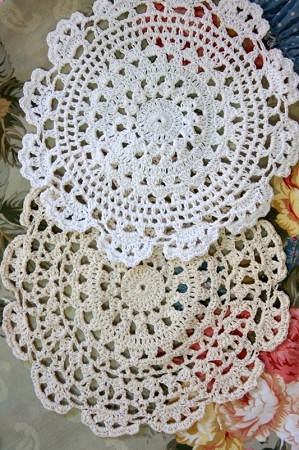 Pure white or vintage beige crochet doilies - perfect for so many projects. These are just the right size to use as capped sleeves on singlet tops (as shown in the second photo). The white doilies are easily dyed by using store-bought dyes or even via tea-staining. Colours: white, beige. You are purchasing 2 of the same colour doily. Please see other listings for more doilies. 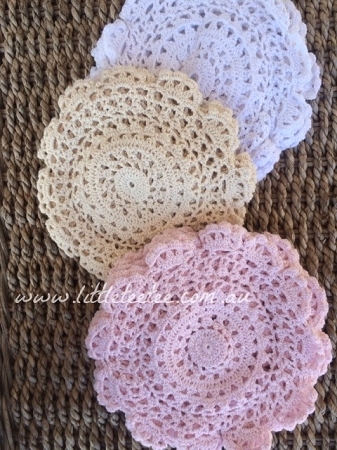 Heart Doilies - Light Pink pair.